Join editor Alessia Brio on Monday 14 July from 9:30-10:00pm (eastern) on Passionate Internet Voices Radio What's Hot in Romance? 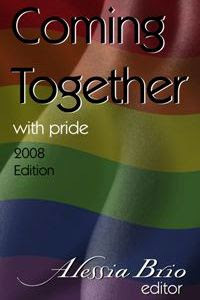 show with host Lillian Cauldwell where she'll be promoting Coming Together: With Pride, the latest release in the Coming Together series. There'll be both live and prerecorded excerpts ... and maybe even a few surprises!